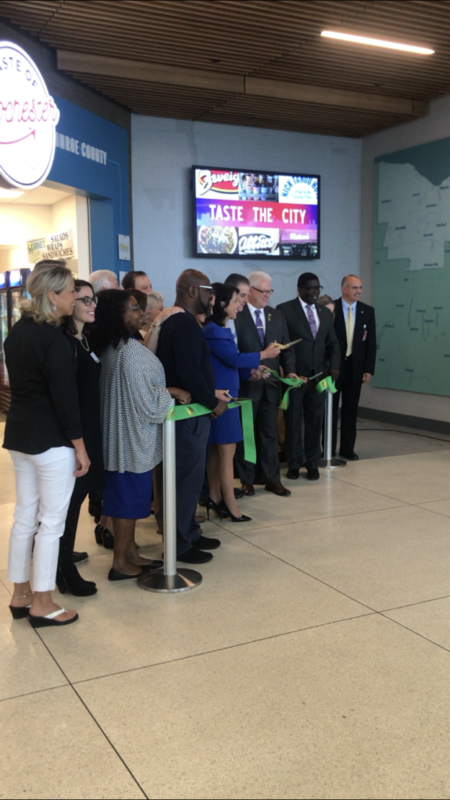 Jim LeBeau of Rochester, NY, made the decision to open up “Taste of Rochester”– a blend of the community’s favorite foods – all in one place. And what better place for this than the Rochester Airport? Millions of people in and out every day, including those who are visiting on business, Rochester natives, residents, and of course their friends and families. 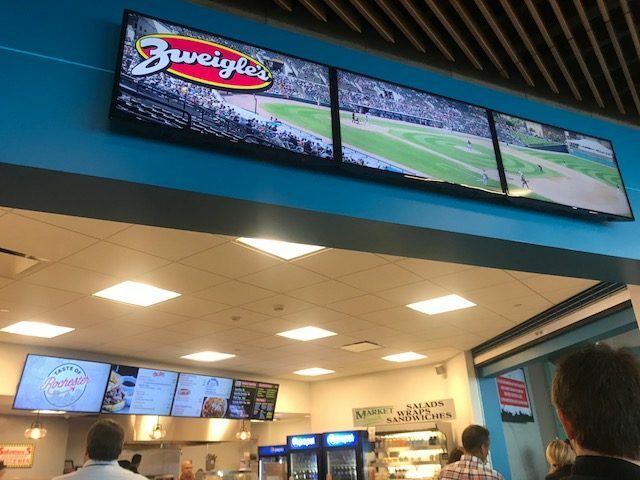 With this new restaurant concession option, each and every one of these people are getting a little taste of the city – literally. 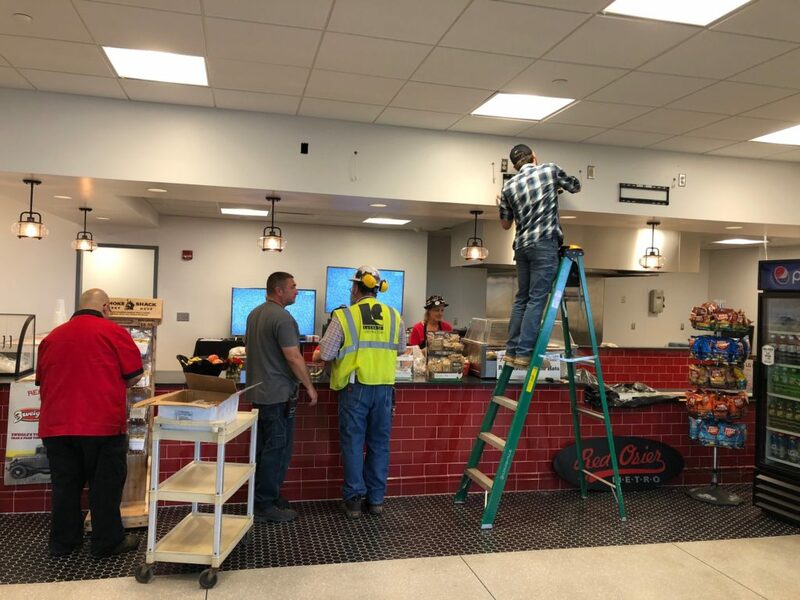 Rochester’s favorites including Zweigles Hot Dogs, Salvatore’s Pizza, Red Osier, Nick Tahou’s famous garbage plates, Cheesy Eddie’s, and 20 other vendors are what make this now THE hot spot for the Rochester Airport. From the structure, the design, the food, all the way to those behind the scenes, “Taste of Rochester” is truly something you don’t want to miss out on. The atmosphere is fun and colorful while staying true to Rochester, and the food? You’ll have to enjoy for yourself! 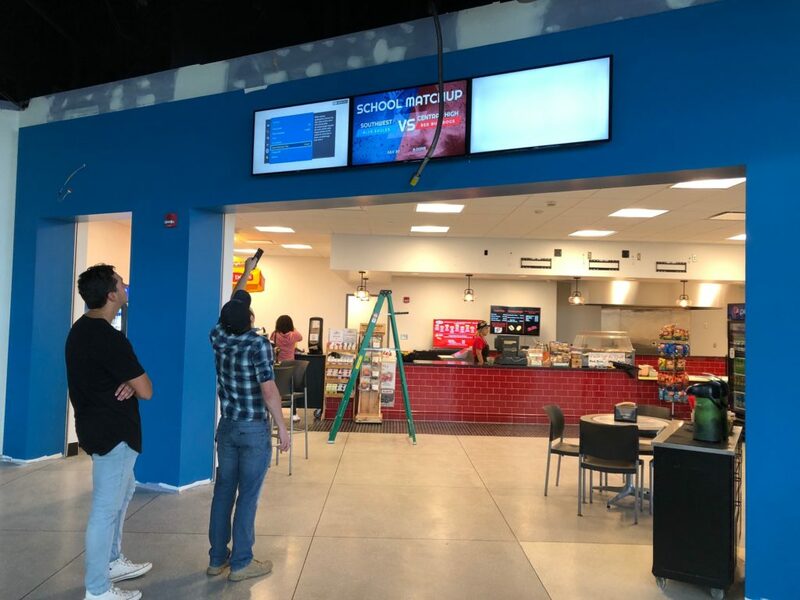 Empire Digital Signs had the pleasure of designing and installing 8 different digital signage displays in the location. 4 of these (soon to be 5) are digital menu boards to display all of the food items from the different vendors in a clean and efficient way, 3 are displaying historic photos of Rochester as well as logos of all the unique vendors, and one large screen shows off photos, facts about Rochester, logos, and fun things to capture the attention of those walking by. This was an awesome project for us to work on. 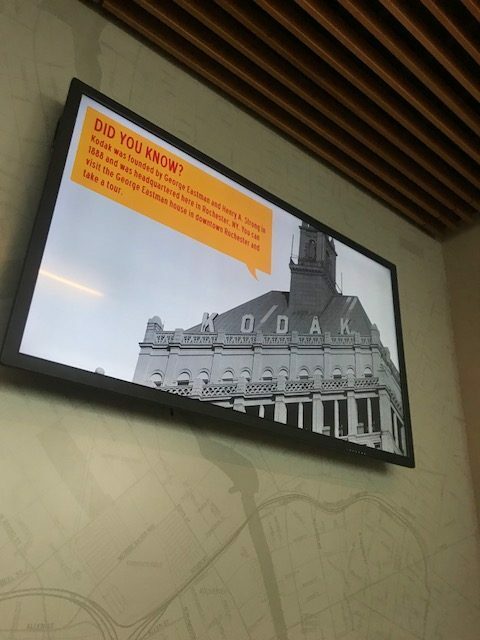 From the freedom with the graphics to the fun content we worked with, we were able to really get creative while sticking to Rochester’s brand. It was a unique one for us as we got to watch the entire project from start to finish – From Jim LeBeau coming to us with his ideas, to a site visit where the place was essentially a construction zone, to putting up screens and starting to see everything come together, then finally the finished product – a truly incredible statement in the Rochester Airport. 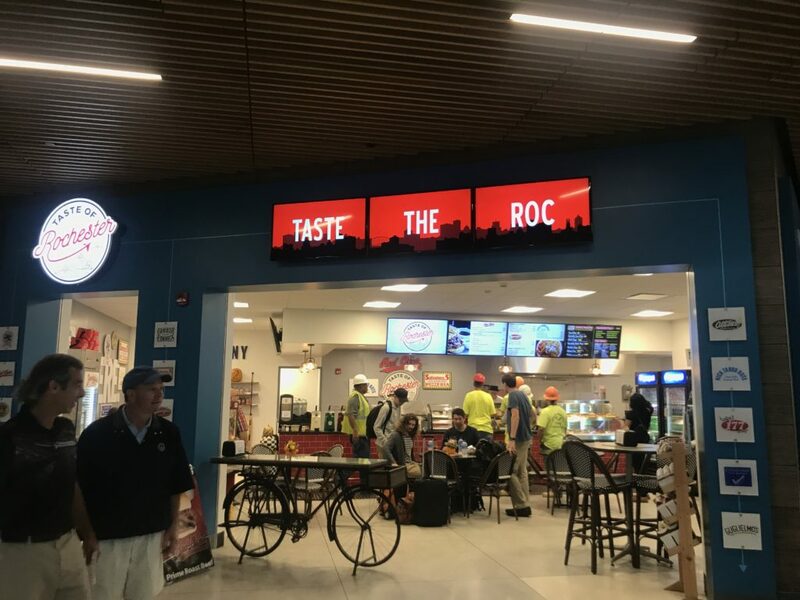 Stop by “Taste of Rochester” next time you fly, and contact us for more information on our creations!